Adele's Cute Animal Art Shop is Now Open! 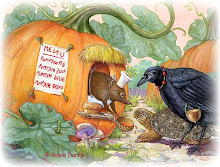 If you like cute animal illustrations, sometimes known as "dressed animals", "anthropomorphic animals", or "animal character" illustrations, please hop on over to my new online store, Adele's Cute Animal Art Shop. You'll find a variety of products - mousepads, postage stamps, baby t-shirts, cards and stationery, stickers, buttons, and more - featuring my own storybook-style illustrations of charming and whimsical mice, birds, frogs, bugs, bunny rabbits, shrews, toads, swans, flowers with faces, and more. I've just started adding products, so please be patient while the store grows. Please enjoy, and thanks for looking!